Sound covers all bases at this price. Plus, that sound is quite good. One of the top IEM’s at this price. Upon initial listen, to insure that all was working, I noted immediately that the V80 did not seem to have that bright Chi-fi sound. 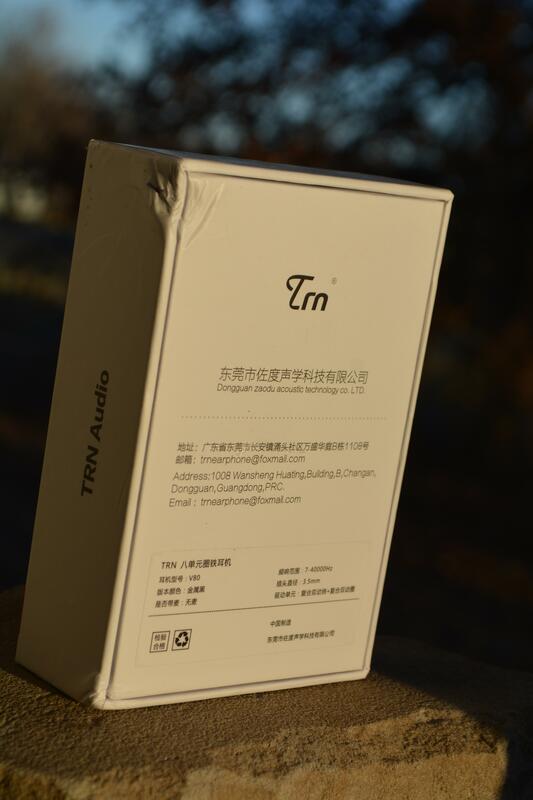 To me, that sound is becoming a trademark of affordable multi-driver critters coming from China as the market continues to explode. It…is…huge… The V80 is a quad driver (2 BA, 2 DD) on each side, so we can honestly call this a hybrid design. Another trend, which seems to be grabbing hold in the SE Asian market. Much innovation and competition are coming as a result. *The unit at hand was burned in for over 150hrs. I do this, so the reader can have an impression of what the ware might sound like after 6mos to 1yr of ownership. After all, it only sounds new once. I want to thank Linsoul for the continued support, and also state that this review is woefully behind. Sigh, apologies. Since the release of the V80, a V20 and V60 have been released. Coming in a smaller white box, the V80 is a fairly unassuming package. With nice outlined images and lettering, there is an air of simplicity, which I very much appreciate. As mentioned before, sometimes packaging can add to the overall appeal (think CTM Da Vinci, just wow…) while other times it is not needed or can detract. This is a case where the intricate packaging is not needed or necessary. Simple, straightforward and elegant. I like the approach. Taking the IEM out of the package, there really is not much else besides the very nice cable and tips. Coming with a modicum of tips, there is a dearth of accessories. I do not mind, but still wish all manufacturers included a case for their wares…it just seems like the right thing to do. But the focus really should be on what comes inside, and as such TRN does exactly that. 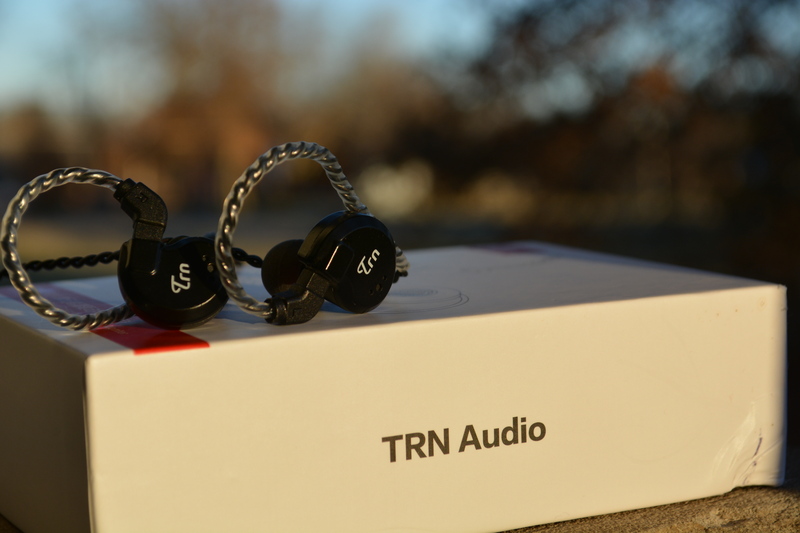 With an easily detachable 2-pin cable, the IEM comes labeled L/R. Made of some composite material in two halves, there is a nice vent hole on the inboard side to aid in the bass presentation. Finished in black anodized material, the halves fit together well, with matched seams. The cable itself has long strands above the y-splitter, but no cinch. That again is OK, as I rarely use the cinch. With a tight-weave 4-strand cable, there is a nice elegance to the overall approach. Again, simple but functional. Excellent finishing is to be had on both ends, with a long straight 3.5 jack and decent strain relief. The jack itself is a bit longer than I would like, especially since it is straight, but really no bother, and comes replete with “TRN” logo. Overall, I like the approach. It does tangle, due to that soft-touch and long area above the y-splitter, though. Fit is straight forward, and non-fatiguing. It works for long periods of time, and is on the smaller side of IEM’s, so most should be able to find a good fit for long periods. As mentioned, when I initially listened, I had no complaints. After 150hrs burning in, I still have no complaints. Comparing the V80 to a couple of other that were on the burner Shanling M1 at the time, I noted how the bass was present, but not overpowering. Overall, the V80 has a pleasantly bassy-note to it. Without real punch, the bass is present in sufficient manner that you can raise the volume and hear a decent thrust. Not CA Atlas-manner no, but sufficient for this price. And without that trademark harshness to the treble, either. I find myself raising the volume on Pink Floyd’s live version of Money as a result. And I enjoy it. Tight and controlled, would be an apt descriptor for the bass note. There can be a note of harshness in the treble, but not enough to bother me, who has a problem with things too harsh. I would call this an affinity to treble for me, sometimes harsh, but not overall. It is there, but not like others I have on hand. While the mids are a bit forward, they are not in your face forward, which also seems to be a trend in Chi-fi. I would state that there is an honest representation to the mids, with good clarity. Especially for this price. Coherence in vocals is present, with Long Strange Trip from The Grateful Dead ringing true. I can clearly hear and place the vocals, and instruments. With good timbre and a natural presentation, this is turning out to be a very pleasant ride. Even with the above, One Tree Hill from U2 sounds strong and true. With an otherwise bass-light sound, the instrumentation sounds quite good and “jumpy.” I found myself tapping my foot to the song running through the M3s/V80 combination. I did in fact turn the volume up as well. Bono’s vocals sound true and deep. He does an outstanding job anyway, and through this combination, I find his soulful voice to be quite good in this budget set up. Nicely done. With that clean midrange sound, the stage is a slightly out of head experience. I would not call it world beating, but quite adequate. Not especially tall or deep, there is decent 3-D representation. Think smaller venue, with a good sound system and you get the idea. Then a song such as Car Radio comes on, and that experience expands. The song is already an “in your face” experience, so that is to be expected. But, when Tyler’s vocals are represented quite well, you get a good experience. But this would be one of those songs where the overall experience can be limited due to the higher tones present. I found myself not wanting to turn the volume up like I did with the U2 song. The clarity is good, but the layers are not as transparent on this song. I get an almost smooshed together sound from this. Not bad mind you as many twenty one pilot songs tend that way, but different than the U2 song. Bass note is strong, though. Good extension, with an almost rumble to it. In typical KZ fashion, you get more for less. What was at the time almost their flagship, the AS06 follows on the heels of the successful AS10 & BA10. Providing that also typical full sound of which KZ is known, the 6 BA architecture functions smoothly and without fuss. With a narrower sound stage than the V80, you get an intimate sound, which the V80 cannot provide. Solid bass emanates from the AS06, on par but not as punchy as the V80. 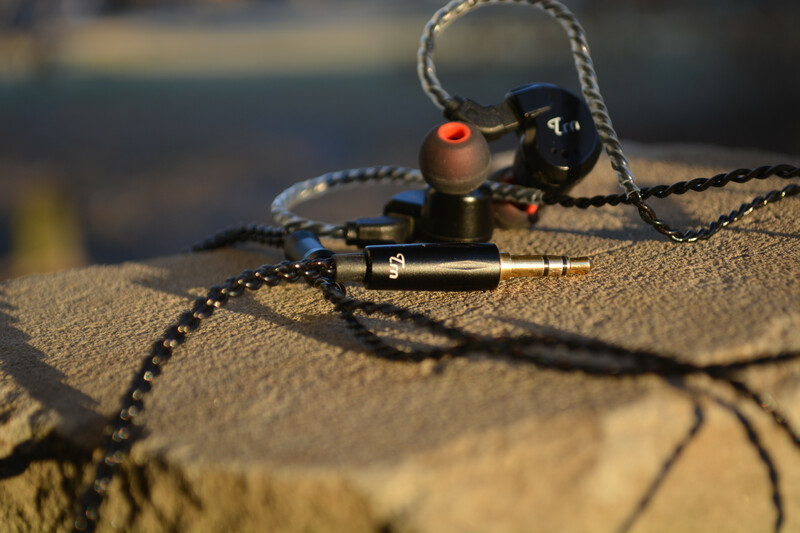 With an almost crystalline sound, the AS06 does provide more of an airy sound. But it feels cramped and closed in comparison. I prefer the more open sound of the V80. The KZ is good (as are most KZ products), but here I prefer the more robust sound of the V80. Coming from the legendary Wild Lee, the Biggie/Smalls represent what one man thinks IEM’s should sound like. I will admit that the pair has been pushed to the back of my queue as other obligations took the front. This was a nice chance to present some findings. With a very mid-dominant sound, I find the Biggie to be somewhat muddy. I also find the vocals to be recessed almost to the background, especially against what I consider to be very decent vocal representation in the V80. I found myself repeatedly taking the Biggie out and replacing. While fit is good, the cable is flat and does tend to fit around the ear well. It does tangle though, which can hinder ones listening. Overall, I would state that the V80 is a sound I appreciate more. The SEED is harder to drive than the V80. I found myself turning the volume up an average of 3-5 clicks on the Shanling M3s. That said, I found the TRN was not the easiest to drive as well. The first thing I notice is how the SEED’s midrange sounds almost hollow compared to the newer V80. The SEED was an initial project from Kinera, and I do still like it for the occasional listen. Good vocal presence tries to do a nice job overshadowing the mid-peakiness. Tight bass response in the SEED gives the allusion to more bass being present. 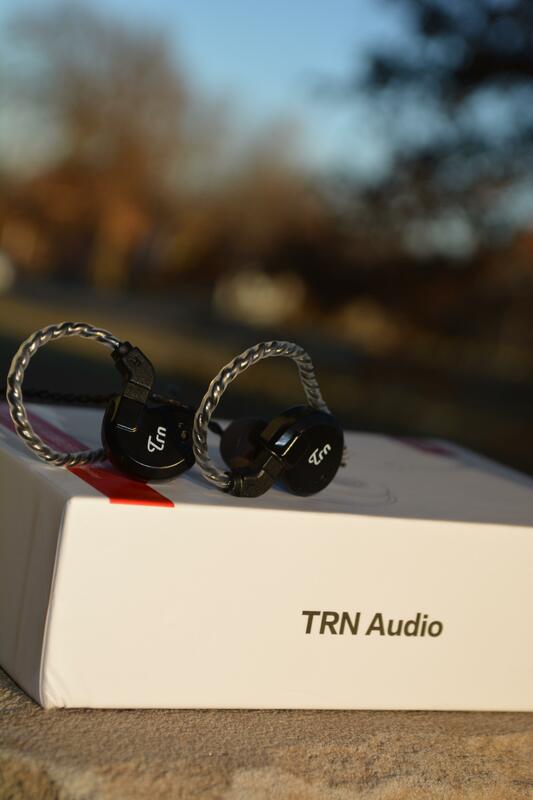 I would say that there is more sub-bass present, but the TRN does an excellent job at representing the bass more naturally. I found myself turning the SEED down, instead of raising the volume like on the V80. The M3S is plenty powerful enough for the V80. A good synergy is replete with a full sound, albeit that sometimes harshness of treble. This would make for a good simple commuting pair. 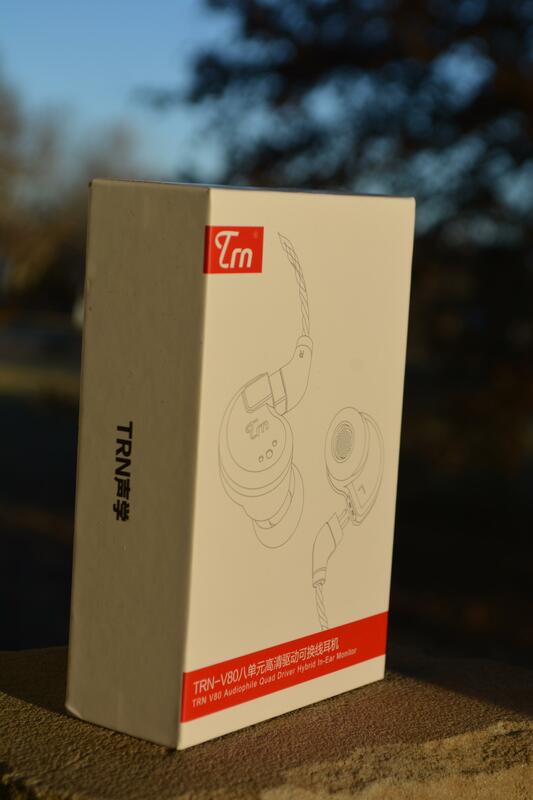 Easy to use, affordable and good sound. Nice enough. I could have copy/pasted from above but suffice to say that this duo makes for an even more affordable pairing. Easily had for about $150usd, this is a back-up pairs dream. Forget your good stuff? No problem. Don’t want to get the good stuff out? Again, no problem. Needing slightly more volume to drive than the M3s (to be expected), the sound is none-the-less impressive. An even more affordable pair. Coming back to the V80 from the others, I am struck at the quantity of bass present. It is almost like I mislabeled the bass quantity. But, I did not. The others listed above are bass-light as a result. 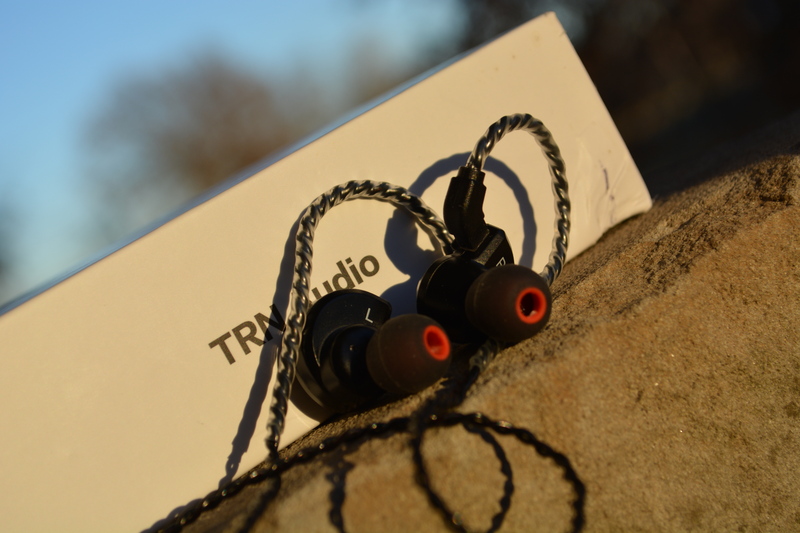 I find the TRN-V80 to be ever so pleasant in which to listen. I find the bass tight and controlled, while giving a hint of rumble. The mids, especially the vocals can become a bit intoxicating with which to listen. Another good sign. And while the treble can become somewhat harsh on some songs, it is not enough to turn even this treble-sensitive soul off. The overall character is one of good solid sound, quite adequate sound stage, a natural feel to that sound, and one, which can be lived with especially knowing the price. This is a pretty good little critter, if you can live with the discrepancies listed above. I thank Lillian and Linsoul Audio for the chance to listen to another fine offering from the land of the rising sun. there are many up and coming companies from the area, and here’s hoping that TRN stays true to their message.